Did you know that June 15th, 2012 is National Flip Flop Day? This fun holiday falls on the 3rd Friday in June each year. What a fun reason to gather family & friends together for a BBQ! It’s a great way to get an early start to the many summer parties that are sure to soon follow. 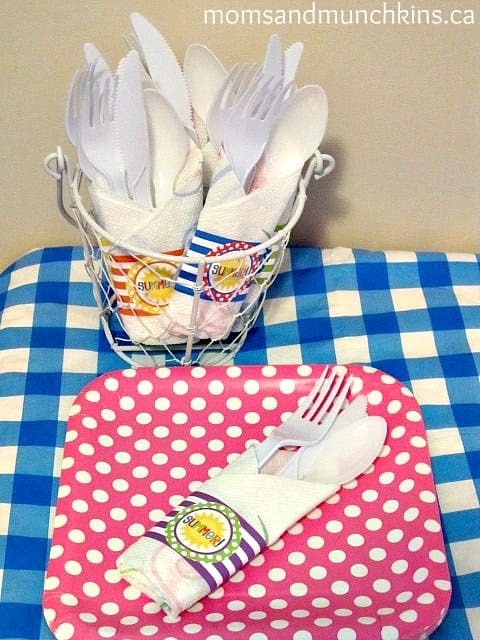 Amanda’s Parties To Go provides free printables that are an excellent addition to any summer party including some fun “Flip Flop Fun” printables. Click here to access the free printables. Don’t forget to like her on Facebook so you keep up to date on all of the fun party printables! 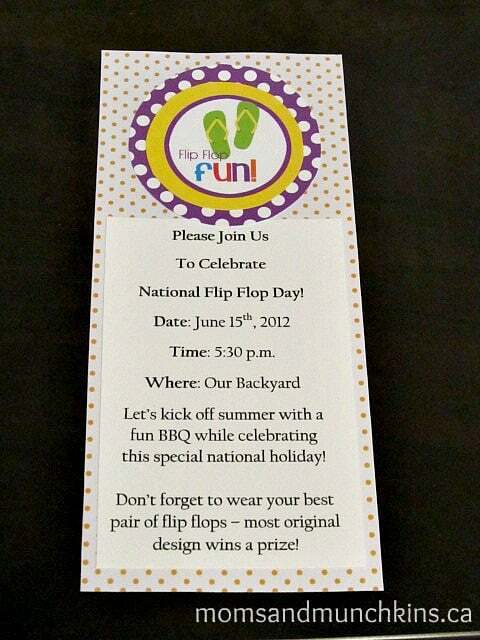 I used one of her printables to create a fun invitation to a National Flip Flop Day party. Invite guests to wear their favorite flip flops and you could even award a prize for the most original design. You may even want to have a few flip flops on hand for guests that may have forgotten to wear theirs. You can’t have a flip flop party without flip flops, right? These cute napkin holders (another fabulous free printable from Amanda’s Parties To Go) is a fun addition for your table. For dessert, try this cute Flip Flop cake from Betty Crocker – it even includes a How-To Video! It’s incredibly cute and the how-to video looks fairly easy to follow. Activities can include a fun flip flop fashion show and other classic games for kids (fun for adults too)! What if your feet aren’t ready for flip flop season yet? No problem! You can set up a Flip Flop Station where guests can soak their feet, remove old nail polish and apply new polish colors perfect for the summer season. Guests could be sent home with their own mini spa supplies like a nail file, foot lotion and mini bottles of nail polish. I really love Flip Flops and did not realize that there was such a thing as National Flip Flop day, what a great party idea! I love them too! Always looking forward to warmer weather and then I don’t take them off again until the snow falls! Brandy, I guess we have more than one thing in common. Once flip flop weather is here, it’s on. My feet gotta breathe. I just wish more retail spots rewarded you for wearing your flip flops. Can I get a free ice cream cone or something for my dedication to letting my toes hang out? !